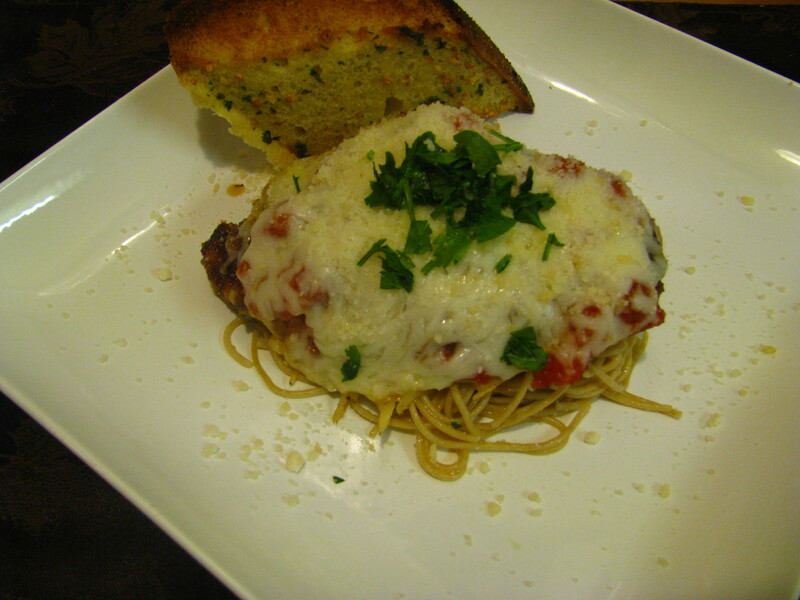 Classic Italian chicken parm is an all time favorite of mine and plenty of people out there LOVE this dish. I made my own tomato sauce with fresh herbs and spices, and for bread crumbs I used fresh herbs as well instead of buying the already seasoned one. Along the side I placed some Italian garlic bread. What is a classic dish that you love?? This looks so delicious, and is definitely one of my favorites. You asked what is another classic dish that I love, and I have to say chicken enchiladas.